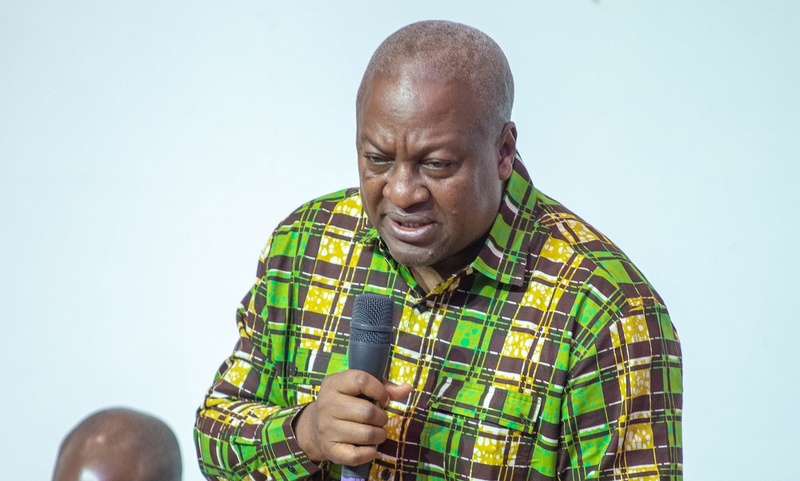 Former President John Dramani Mahama has expressed his excitement over the peace that has finally been restored at Dagbon following the people’s acceptance of the new Ya-Naa, the Savelugu Naa, Abubakari Mahama. According to him, this is an effort by successive governments worth celebrating after years of the protracted disputes. “After many years of hard work, negotiations, long meetings, disagreements, traditional considerations and agreements, we celebrate the efforts of successive governments for this day” he posted on Facebook. The funeral for the late Yaa Naa Yakubu Andani II who died in 2002 ended on Friday, January 18, 2019, with Yaa-Naa Abukari Mahama elected to be the new overlord of Dagbon. Abukari Mahama contested Kampakoya Naa Abdulai Yakubu Andani, Bolin Lana Mahamadu Abdulai, and Tampion Lana to become the Ya-Naa. The Savelugu Naa, who’s in his 70s, has already been offered the symbolic cola and has had his final performed. “So happy for this day, and we should be eternally grateful to Allah that Dagbon has finally seen peace. After many years of hard work, negotiations, long meetings, disagreements, traditional considerations and agreements, we celebrate the efforts of successive governments for this day. Working together, the Eminent Chiefs appointed to help resolve the very challenging Dagbon chieftaincy dispute, the Andani and Abudu Royal Families and the people of Ghana, this major success has been achieved and we have a new Yaa-Naa. Congratulations to the two royal families and the Eminent Chiefs led by Otumfuo Osei Tutu II. Congratulations to Yaa-Naa, Abukari Mahama II, and I pray for greater wisdom for you as you begin your reign. President Nana Addo Akufo-Addo has congratulated the people of Dagbon for working to bring to an end decades of division in the area. According to the President, [the day] was a significantly ‘happy day’ for Ghanaians as decades of tension and conflicts have come to an end by the acceptance of the new Ya-Naa elect, in the person of the Savelugu Naa, Abubakari Mahama. The President in his statement also congratulated the Andani and Abudu Royal families for successfully ensuring that the funerals of Ya-Naa Mahamadu Abdulai IV and Ya-Naa Yakubu Andani II were held peacefully. The President did not leave out the committee of eminent chiefs chaired by the Asantehene Otumfuo Tutu II whose job was to ensure a successful and peaceful funeral rite of the Ya-Naa Mahamadu Abdulai IV and Ya-Naa Yakubu Andani II. “The people of Dagbon, especially the Andani and Abudu Royal families, are to be congratulated for this achievement, and for ensuring that the funerals of Ya-Naa Mahamadu Abdulai IV and Ya-Naa Yakubu Andani II were held and concluded peacefully, bringing us to this very happy day.